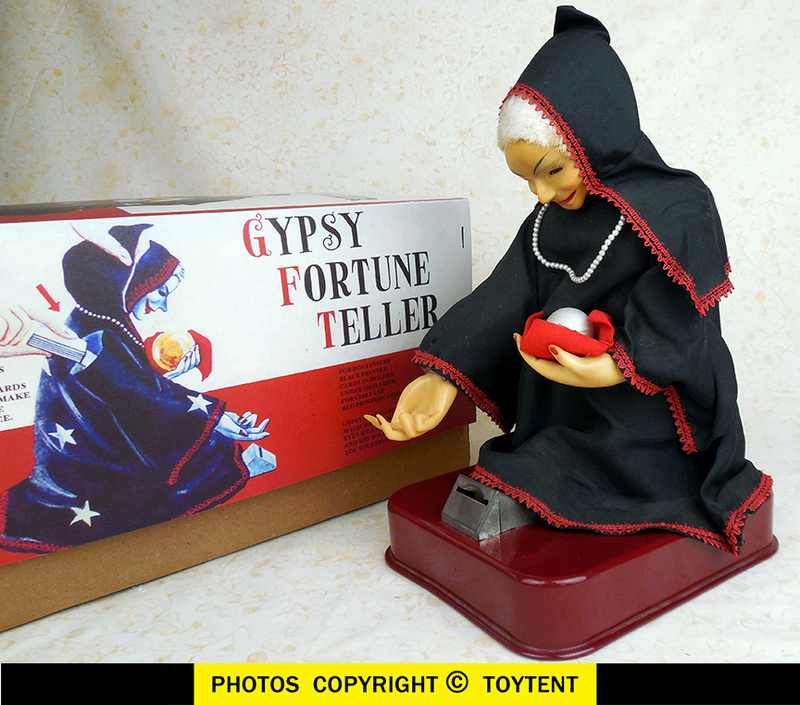 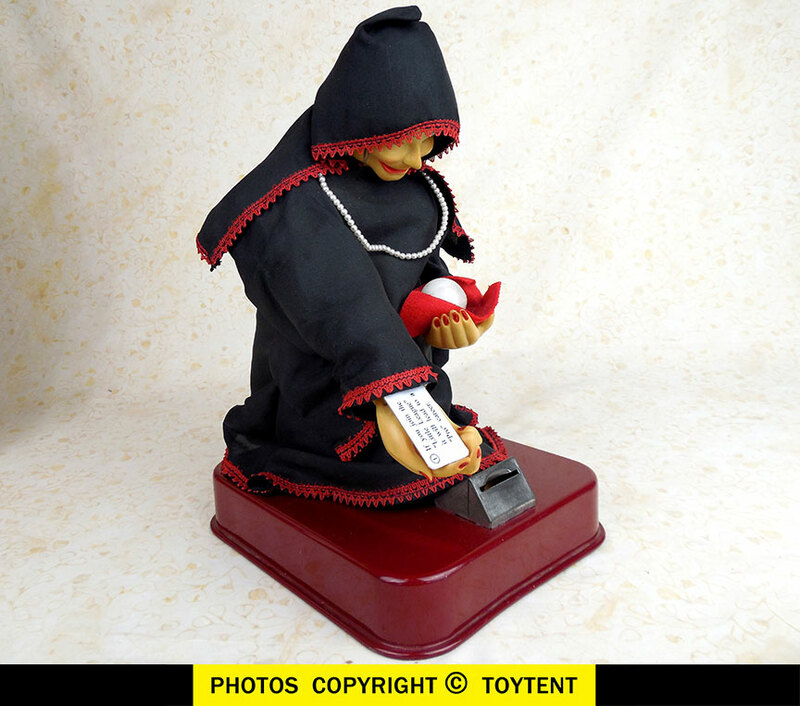 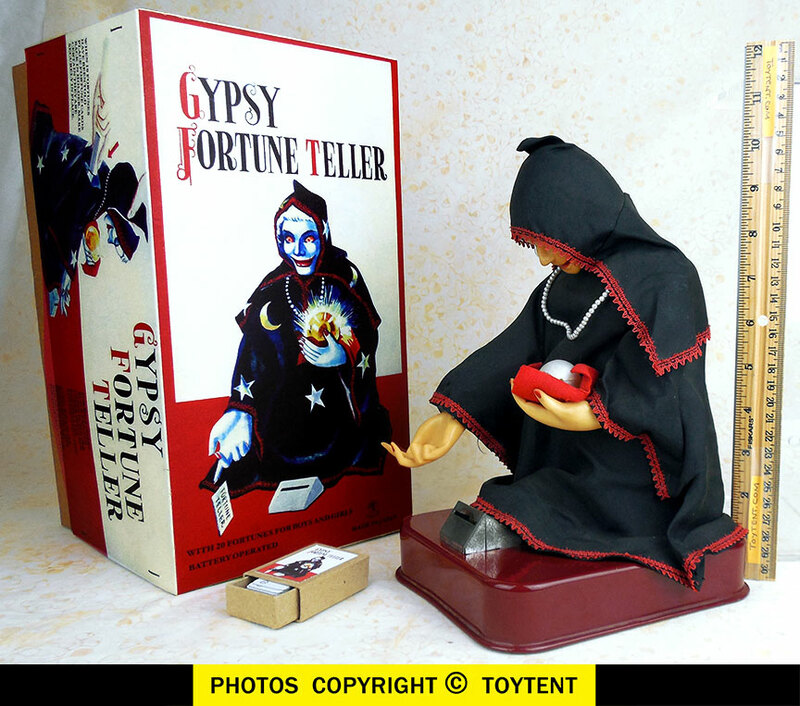 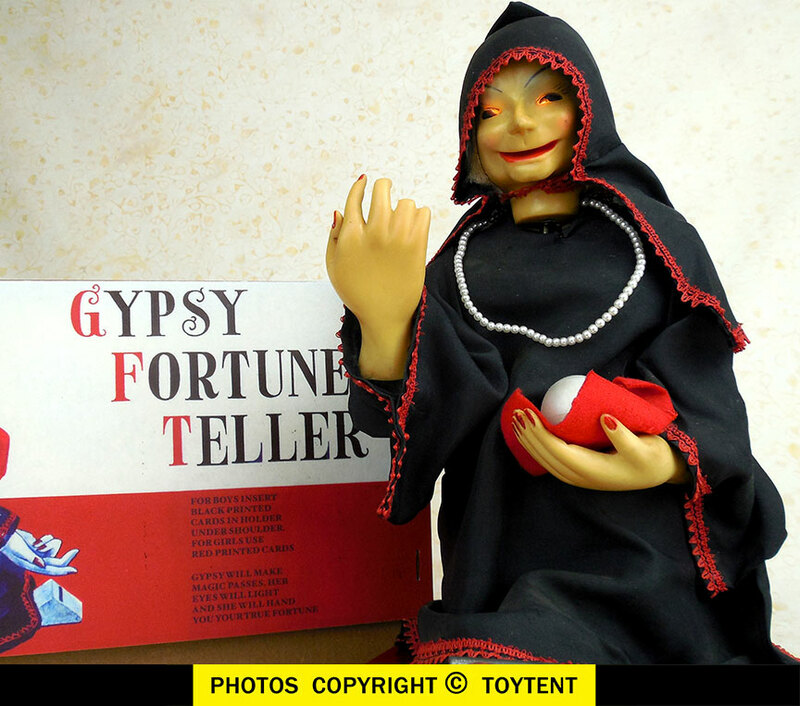 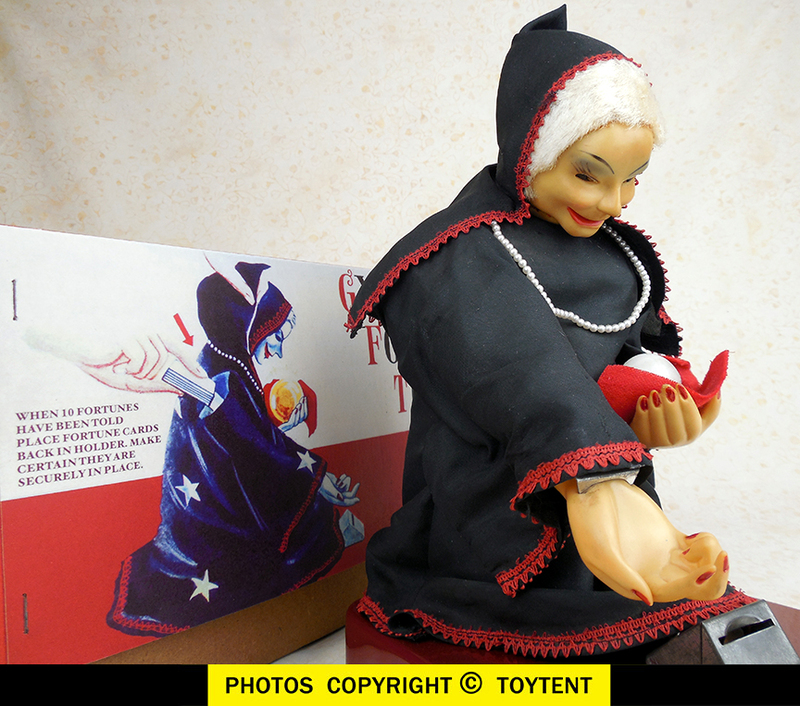 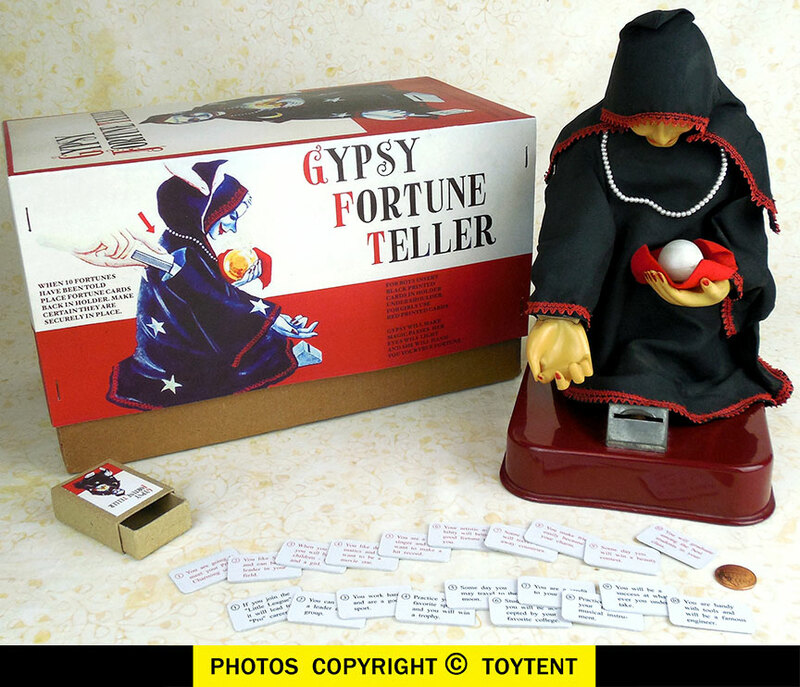 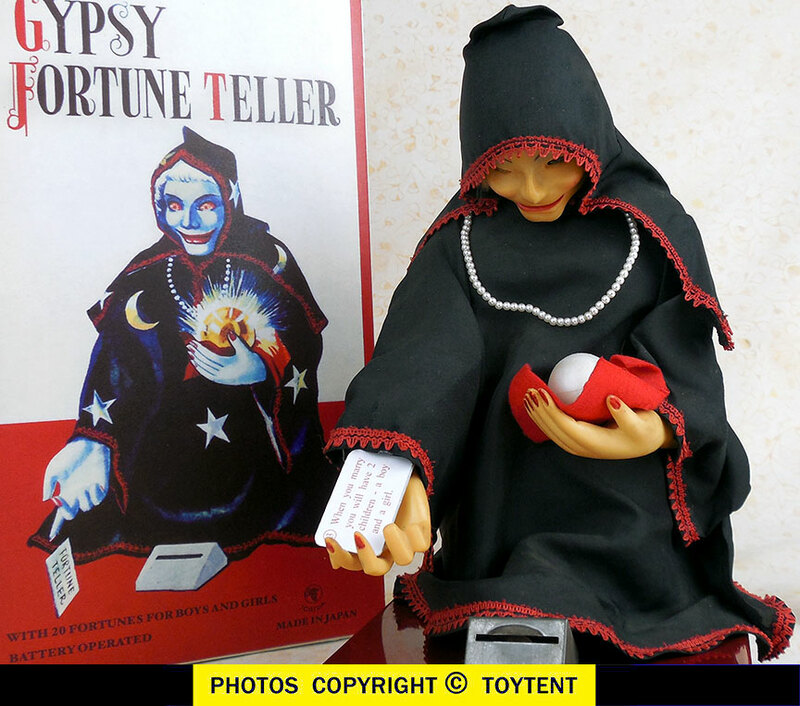 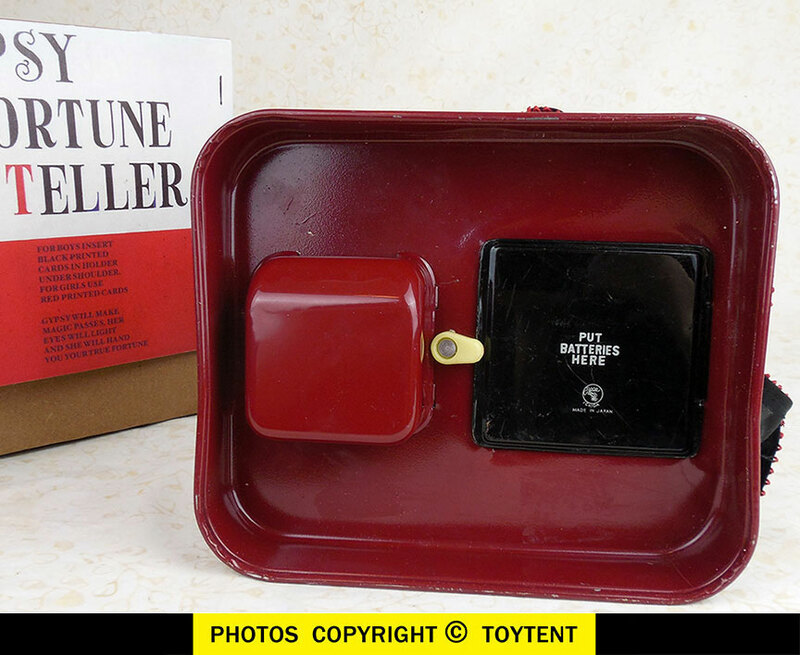 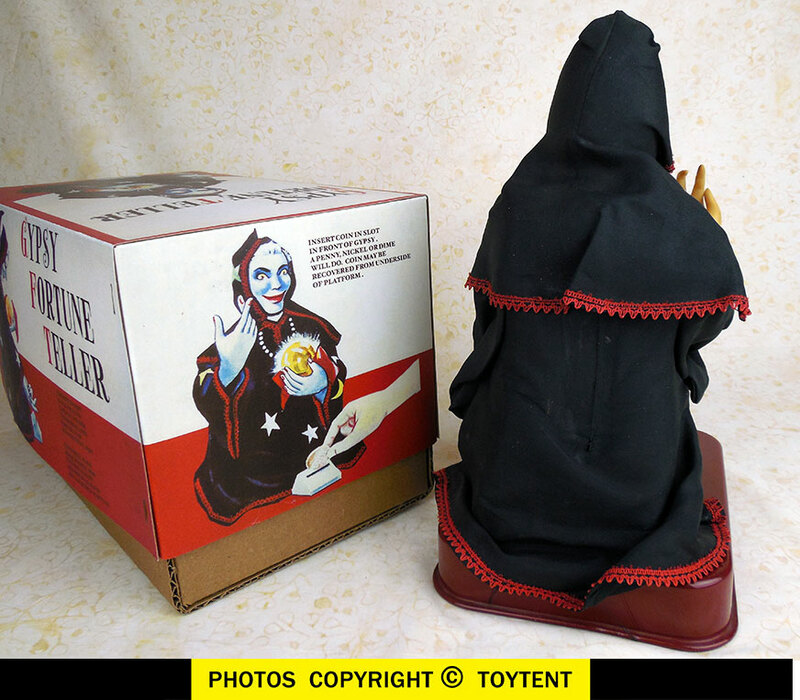 Fortune Teller is in excellent cosmetic and working condition ... SEE MOVIE! 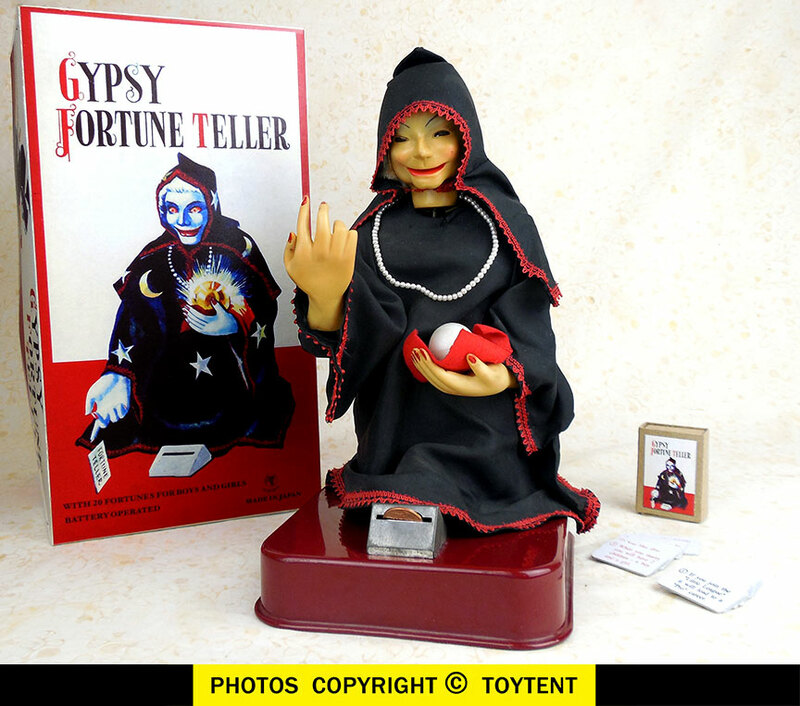 Gypsy has plastic head and hands and cloth outfit. 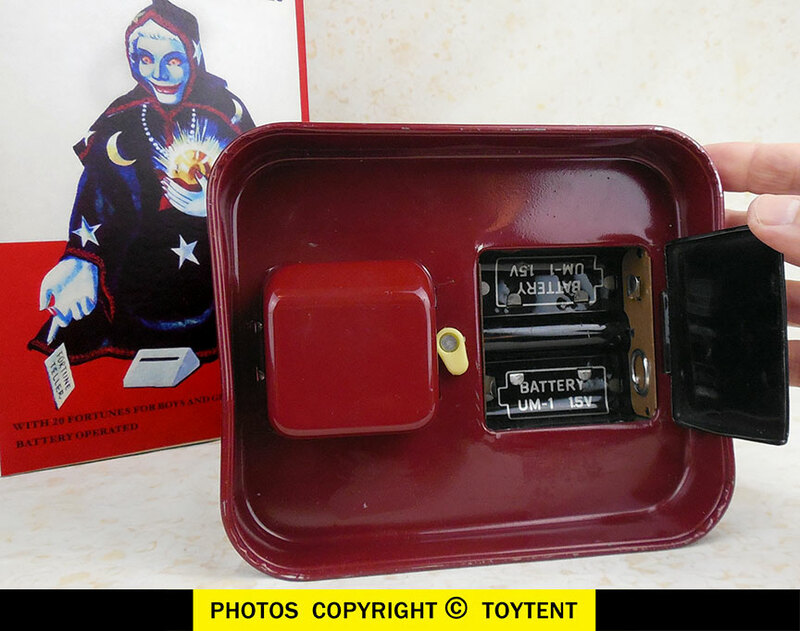 Toy has tin base with clean battery compartment.